Dropped waist at seam: 28¾"
Centre front neck to dropped waist: 17"
Centre front dropped waist to hem: 8"
Centre back neck to dropped waist: 16½"
Centre back dropped waist to hem: 10½"
Total back length (top of zipper to hem): 27"
Turquoise twinkle satin ‘bolero’ style bodice with modern embroidered belt design and turquoise and white embroidery. 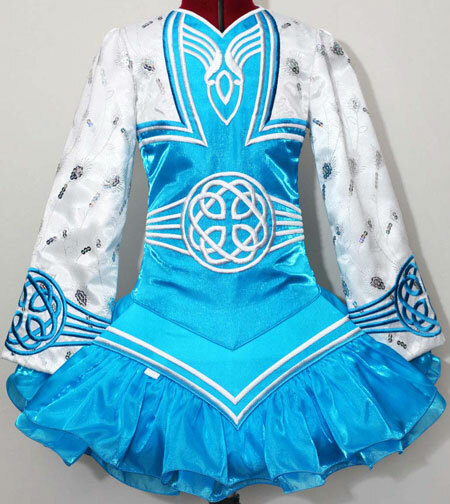 Sleeves constructed from white sequin lace overlay with matching turquoise embroidery. 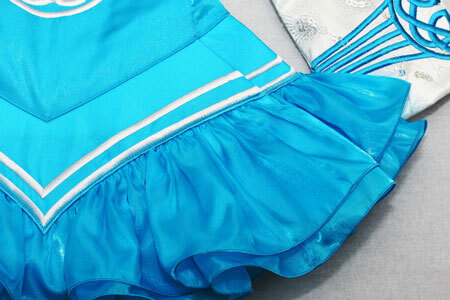 Modern style skater skirt constructed from two layers of turquoise twinkle satin. Petite white shawl with turquoise embroidery matches front belt design. 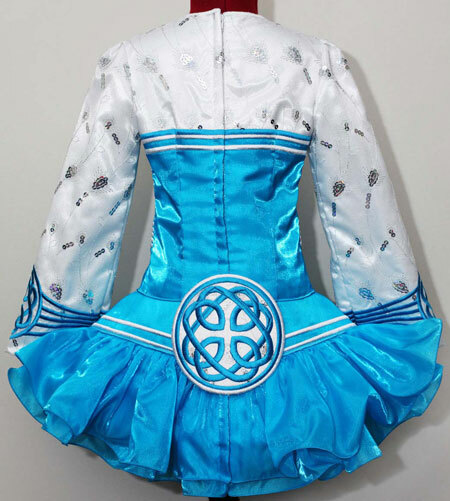 Bright turquoise and white polka dot underskirt lining. Matching bloomers and embroidered headband. Ample seam allowances which allow for let-down and let-out alterations if needed.